What's the big stink about green tripe? The nutrient-rich stomach lining of ruminating animals (e.g., bison, deer, lamb, etc.). Unlike grocery store tripe, green tripe is unbleached and all-natural. 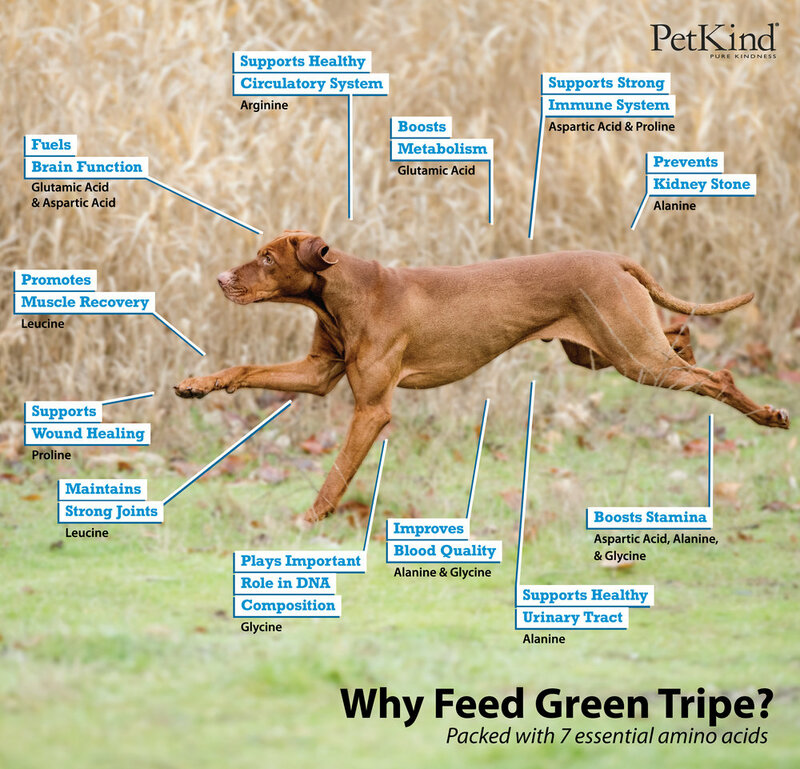 By avoiding the cleaning and bleaching process, we ensure that green tripe keeps the nutrients that make it so great for your dog! Great for picky eaters, allergies, and sensitive stomachs!